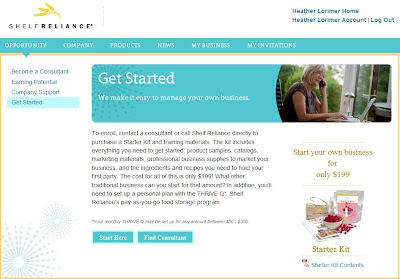 Shelf Reliance Leaders: What it looks like when a new consultant is siging up. What it looks like when a new consultant is siging up. 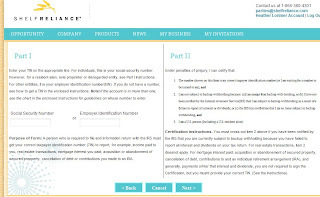 When you have someone who is ready to become a new consultant on your team, they often want you to walk them through the process of signing up. Since you cannot see what they are seeing (unless of course you are sitting next to them). I have documented the sign up process to help you follow along and sound professional when you are talking to them on the phone. Step 1. 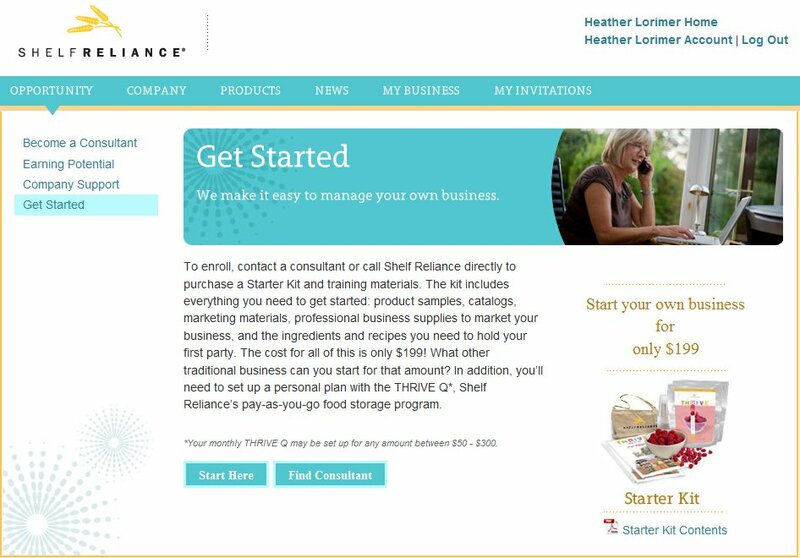 Get Started: http://www.shelfreliance.com/parties/index/getstarted This is the website that I send my potential consultant too. 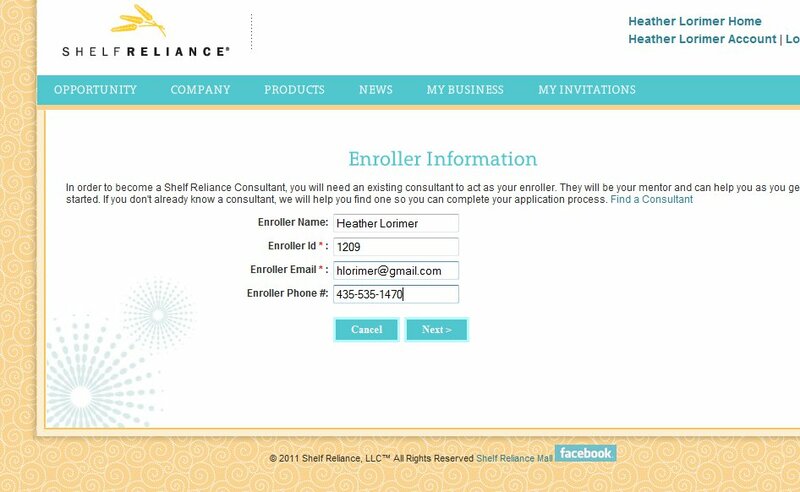 They can also sign up off your personal website but not everyone has a consultant website so this is the way I do it. Step 2. 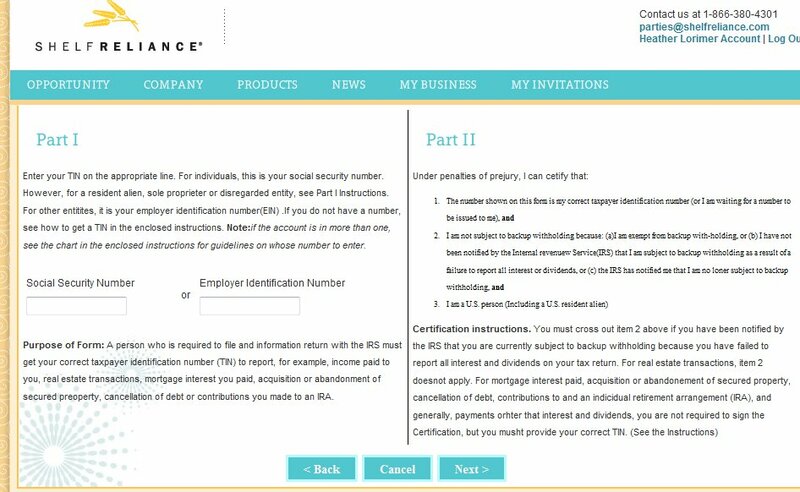 Enroller Information: They will need your information for this part, including your name, ID number, e-mail, and phone number. Step 3. 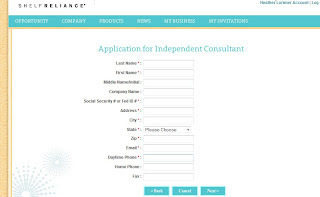 Application for Independent Consultant: This is their information. I encourage my consultants to think about this before they fill it out. 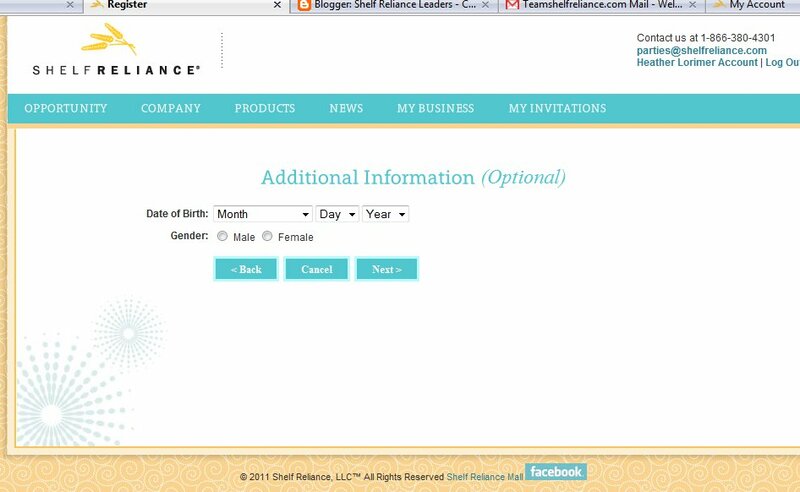 Do you want your current e-mail or a new e-mail just for Shelf Reliance? 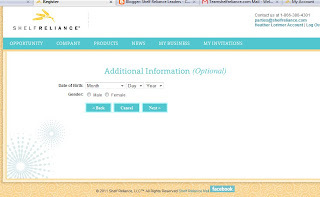 Do you want business calls to come to your home phone or your cell phone? 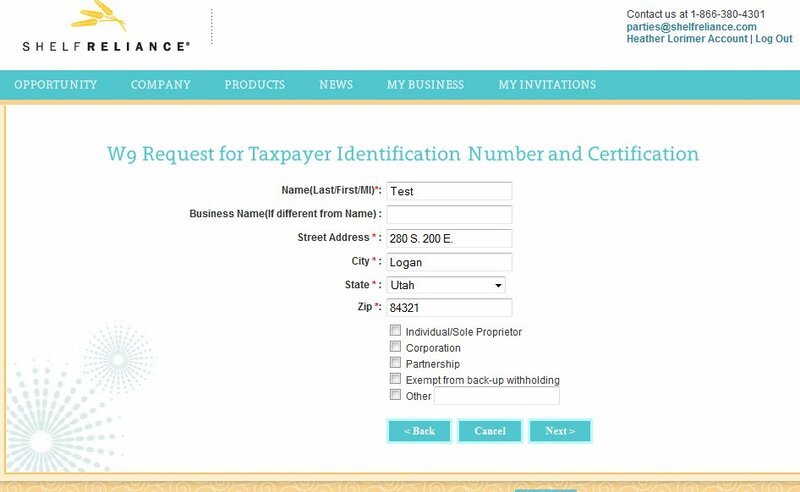 Are you going to use your physical address or a PO Box? 5. 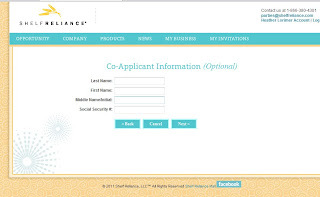 Co-Applicant Information This section is optional and only needs to be filled out if the person is signing up as a team. This is the part where most people have questions. 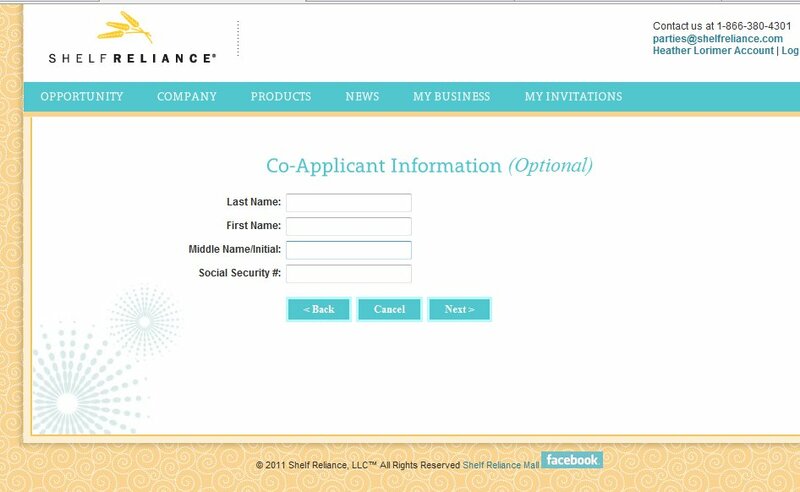 They need to choose if they are going to be the individual /sole proprietor (this is what most people choose), a corporation (they would know if they are a corporation), a partnership (some people put their spouse here or if they are planning on working the business as a team, they select this option), if they are exempt form back-up withholding, or other. This can be changed later if their status changes. 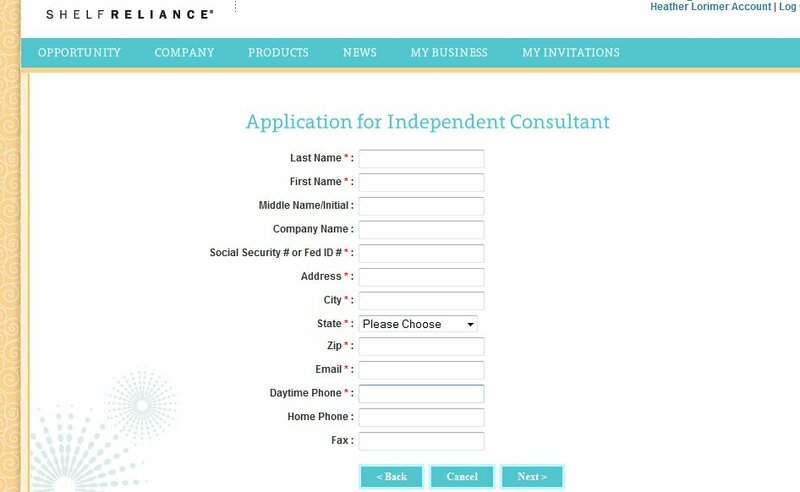 If a potential consultant does not know what they want, they probably want individual/sole proprietor. 7. 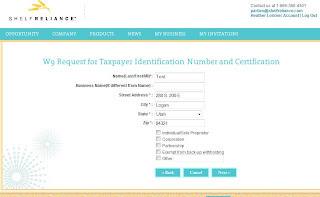 Part 1 and part 2 The consultant needs to enter their Social Security number. Step 8. 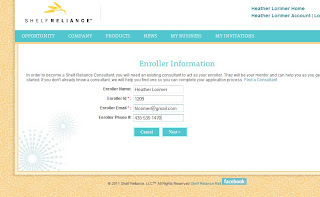 The consultant then chooses which kit he/she wants enters their billing information, and then sets up their Q.